General Knowledge Indian History questions and answers with explanation Part –28 GK And jobs, RAS Exam Study Material, Current GK And Read more: Important facts for the Competitive exam in Rajasthan. 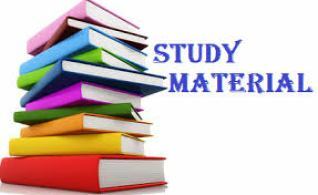 And All subject Wise Notes and Math, Hindi, English, History, Political Science, Psychology, Sanskrit Related Study material and Rajasthan General Knowledge (GK) Question for Govt Exam preparation like RAS, IAS, UPSC, RPSC, 1st, 2nd, 3rd Grade Teacher, REET CTET, LDC, SSC CGL, IBPS, MBA, CAT, MAT, SBI-PO, RBI And Railway, Indian Army And all competitive Exams. Question (1) The second battle of Panipat was between whom? पानीपत की दूसरी लड़ाई किसके बीच हुई थी? Question (2) ‘The new religion ‘Din-i-Elahi’ was started by whom? दिन-ए-इलाही’ नामक नया धर्म किसके द्वारा शुरू किया गया था? Question (3) Who started the Manashbari system in the Mughal administration system? मुगल प्रशाशन व्यवस्था में मनसबदारी प्रणाली को किसने प्रारंभ किया? Question (4). Tansen, the great musician of his time, was in whose court? अपने काल का महान संगीतज्ञ तानसेन किसके दरबार में थे? Question (5). Who was the official language of the Mughal period? मुगल काल की राजभाषा कौन थी? Question (6). The Mughal emperor was a slanderer of Sati? सती प्रथा की भर्त्सना करनेवाला मुगल सम्राट था? Question (7) Which war led to the foundation of Mughal State in India? किस युद्ध से भारत में मुगल राज्य की नीवं पड़ी? Question (8) Who wrote the life story of Akbar? किसने अकबर की जीवन-कथा लिखी थी? Question (9) Who wrote Humayunnama? Question (10) Under the rule of Akbar, the Mahabharata was translated into Persian, by which name is it known? अकबर के शासन में महाभारत का फारसी भाषा मेअनुवाद किया गया था, वह किस नाम से जाना जाता है?